​Why is the liberal order unraveling, what comes next, and how should the United States respond? Tom Wright will argue that the defining feature of contemporary world politics is the return of balancing and the intensification of great power security competition albeit in an age of interdependence and globalization. This competition will play out at a regional level and is unlikely to result in major power war. Wright argues that the United States should pursue a strategy of responsible competition to preserve the liberal international order. 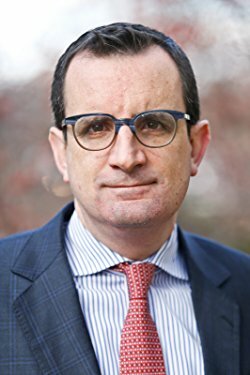 ​Thomas Wright is the director of the Center on the United States and Europe and a senior fellow in the Project on International Order and Strategy at the Brookings Institute. He is also a non resident fellow at the Lowy Institute for International Policy. Previously, he was executive director of studies at the Chicago Council on Global Affairs, a lecturer at the Harris School of Public Policy at the University of Chicago, and senior researcher for the Princeton Project on National Security. Wright has a doctorate from Georgetown University, a Master of Philosophy from Cambridge University, and a bachelor's and master's from University College Dublin. He has also held a pre-doctoral fellowship at Harvard University's Belfer Center for Science and International Affairs and a post doctoral fellowship at Princeton University.